Today I’m excited to share with you some lovely free Easter printables for a Christ centered Easter . Every spring I look forward to the traditional Easter activities we do as a family. From our family dinners to our traditional Easter egg hunts, I love everything about spring time! 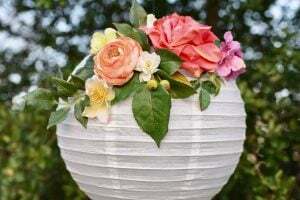 It’s so easy for me to get caught up in the fun of putting together Easter baskets, Easter egg hunts, what to make for our Easter dinner, all of the Easter decorating, and more. All of these things are good and fun, but this year I wanted to put a bigger emphasis on the true reason why my family celebrates Easter. 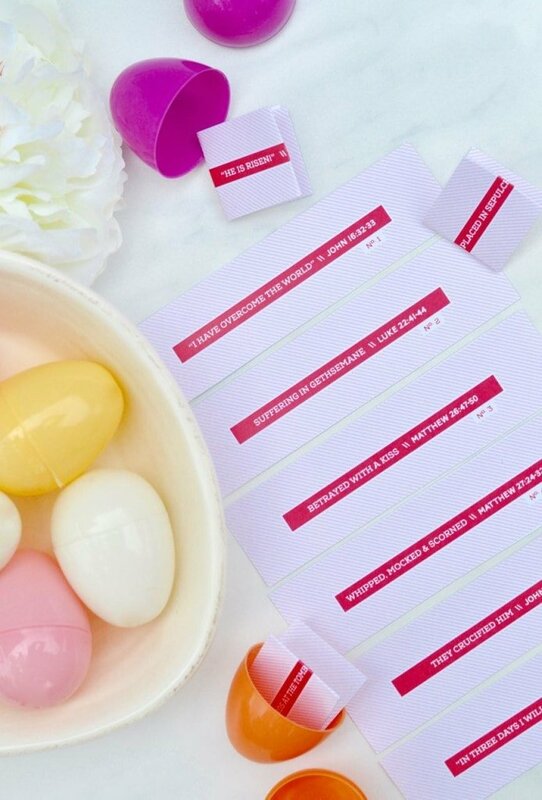 Bettijo from Paging Supermom created some beautiful free printables for you to download that I’m incorporating into our Easter celebrations this year. Just click on the links below to download and print. If you’ve read my blog, then you know I’ve got a thing for cupcake toppers. 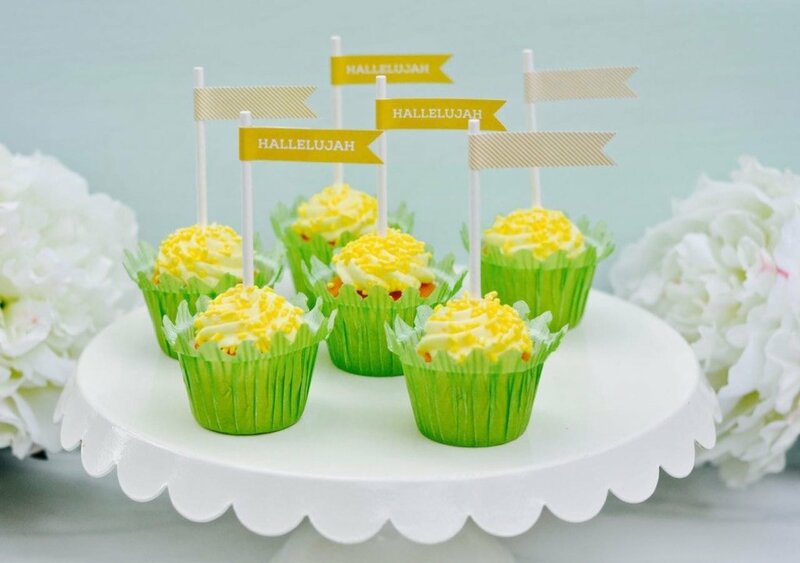 These free printable Easter party flags look great on cupcakes, sandwiches, muffins, sucker sticks, and more. Some are striped and some say “Hallelujah” on them. 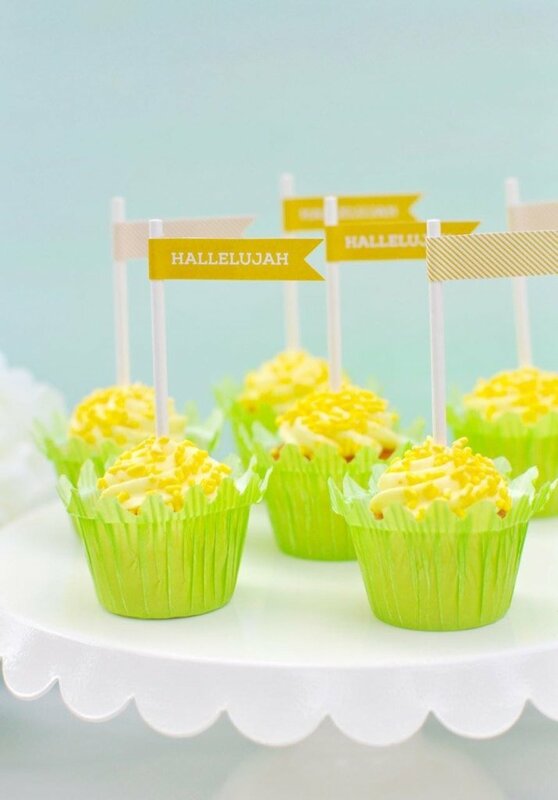 I topped some pretty mini lemon cupcakes with these party flags that I glued onto sucker sticks. I put the lemon cupcakes in some green grass cupake wrappers from the store, then added the flags to the top. There are also some XL flags you can download for use on glasses, bottles, and more. 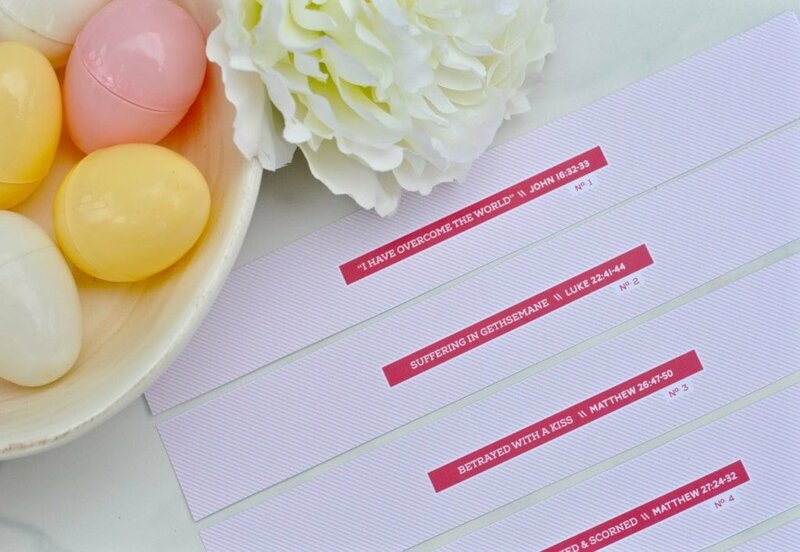 Here are some cute Easter party favors that I put together quickly and easily with the printable tags. 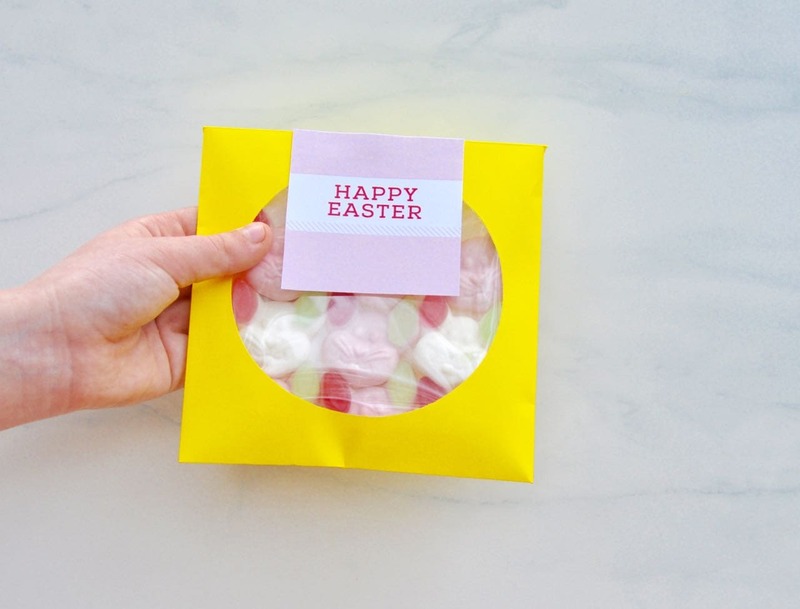 I filled some new colored paper CD holder envelopes with Easter treats- gummy rabbits, sugar cookie flowers, and sugar cookie carrots. I sealed the CD envelopes, then hot glued an Easter tag to the top center. 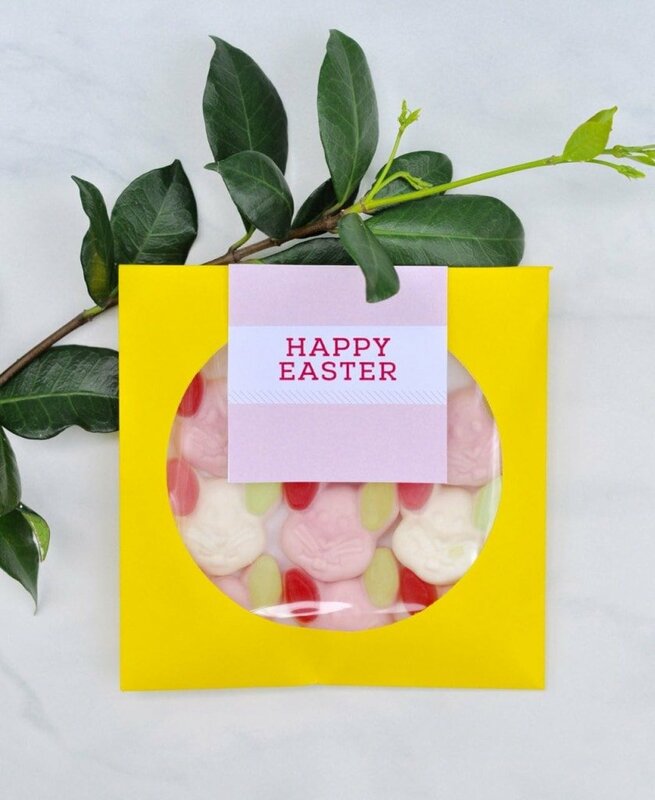 I love how you can see the treats through the clear middle of the envelope. 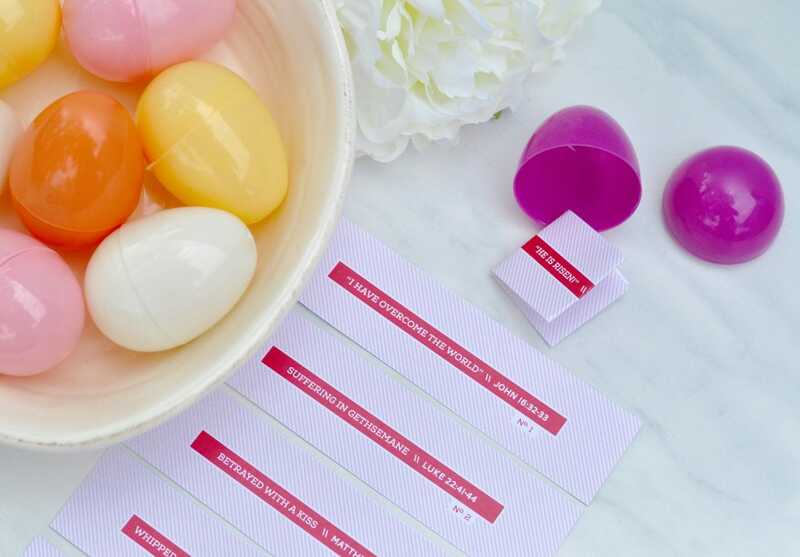 These would make great favors or treats for after Easter dinner or after an Easter party, like this Easter egg hunt party I put together for World Market. 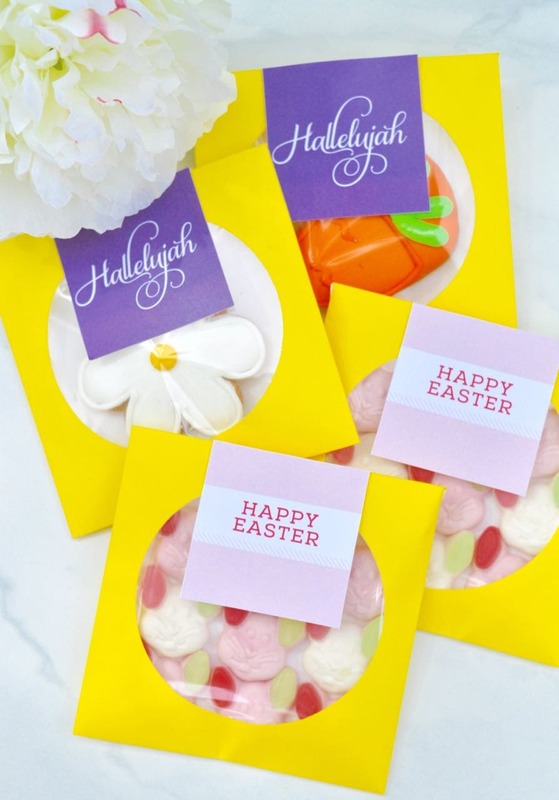 These are my favorites out of the whole printable Christ centered Easter collection from Paging Supermom. There are 12 strips of paper that are numbered, and when read in order, tell the Easter story. The scripture cards can be wrapped around napkins at Easter dinner, placed on plates, in baskets, or any other way that you would like to use them to learn more about the Easter story. I have four kids, so I decided to cut the strips a bit smaller, place them in plastic eggs, and put them in an Easter serving bowl. At our Easter dinner, each family member will choose two eggs to read. Starting with card #1, we’ll read each scripture and piece together the story of Christ and his resurrection from the Bible. 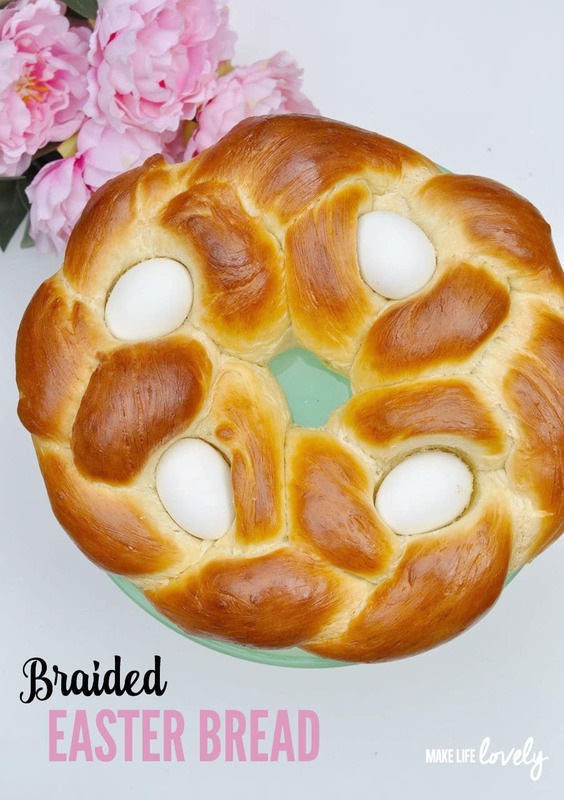 I can’t wait to do this activity with my family and share with them the true reason why we celebrate Easter. You can download the printable Easter scripture cards HERE. 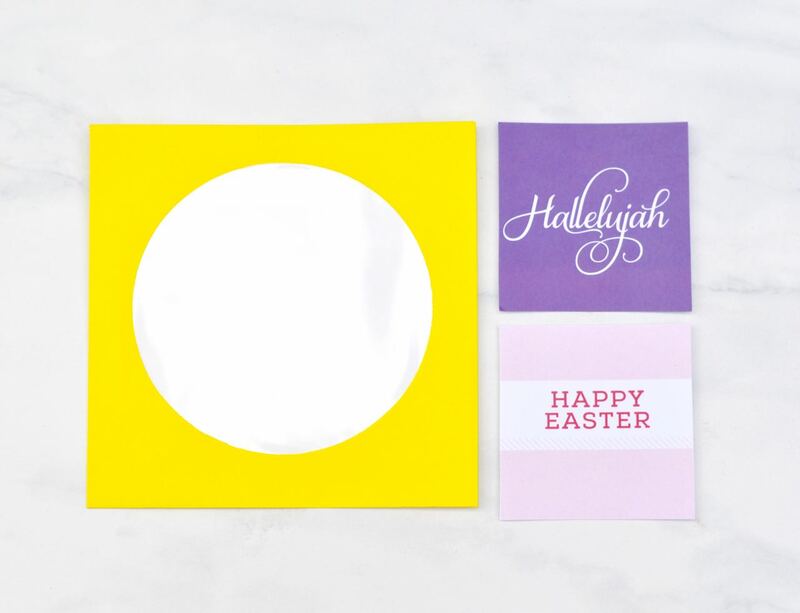 You can also download Easter name cards for the table, an Easter banner, an 8×10″ Hallelujah printable, and a #Hallelujah 36×48″ poster, all designed to help us have a more Christ centered Easter. 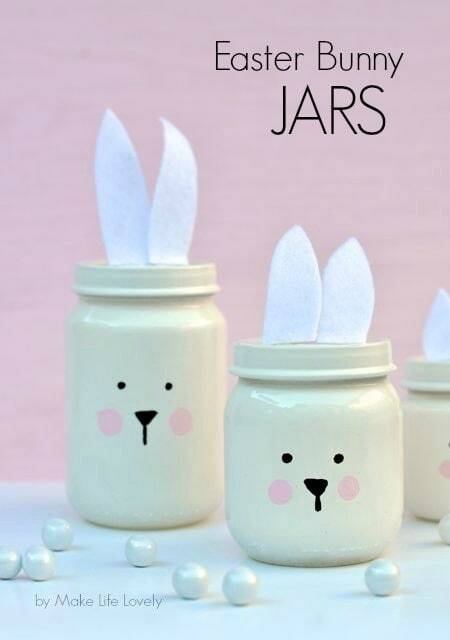 DIY painted bunny jars. This is a great way to repurpose those old baby jars. 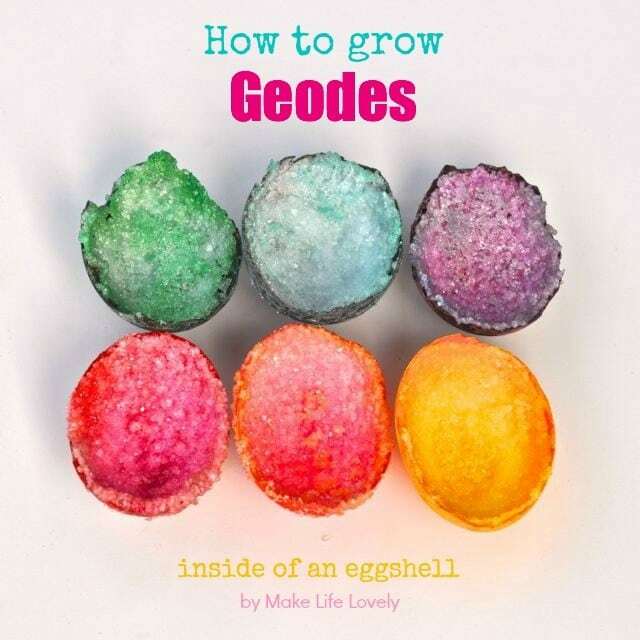 How to grow a geode in an egg. 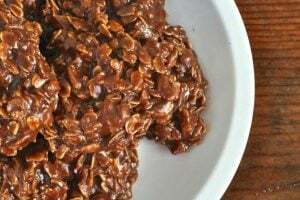 This is a great science experiment to do with the kids! What are some of your favorite activities to do with your family for Easter? Love the way you used the punchables as favor tags on the CD envelopes — super cute!! Thanks so much Bettijo! Your printables are all so amazing! The scripture strips are my favorite part of this printable, too! 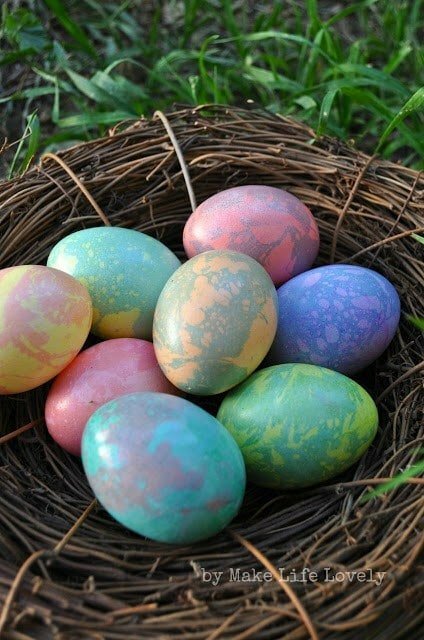 I like how you put them in Easter eggs for your kids! Thanks so much Heather! We’re having a big family Easter dinner on Sunday and I can’t wait to read these with everyone. I love your creative take on these fabulous printables, Laura. Great job! 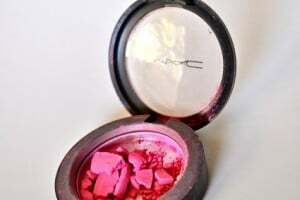 Thank you so much Maria! I had a lot of fun with these. Bettijo did an amazing job creating them!